The 129 students, trapped into enrolling in a fake US university, are facing civil charges for overstaying their visa. New Delhi: The 129 Indian students arrested last week in the US on charges of overstaying their visa while enrolling themselves in a fake university there could be barred from entering the country for a period ranging from 10 years to their entire lifetime, sources told ThePrint. The students — who were trapped into enrolling in a fake university, University of Farmington, by the US Immigration and Customs Enforcement’s Homeland Security Investigations (HSI) as part of an undercover operation conducted by the Department of Homeland Security (DHS) — are now facing civil charges for overstaying their visa. They could also be facing a lifelong ban from entering the US or they could be barred from studying or working in the US for 10-20 years, said sources. The Ministry of External of Affairs (MEA) has been able to obtain consular access to all the students, but their condition within the detention centres is turning out to be “pathetic and precarious”. Sources told ThePrint that they are sharing the prison with drug-peddlers and human traffickers that fill the jails and immigration detention centres there. While many of them have been released on bail bonds that cost anywhere between $10,000-$25,000, they are not allowed to resume the work they were doing in the US. They are now being made to wait before they can be produced before a judge, the sources added. The students who are out on bail are mostly those who lived in Georgia, Detroit and California. All the 129 students were picked up from various states across the US. So, the government has mobilised members of the Indian community there to assist them with legal proceedings and facilitate their eventual deportation. However, sources said the main challenge at present is to not just have them deported but to also ensure that they are able to come back to US legally. According to the US Immigration and Customs Enforcement, the investigations began in 2015. The HSI was operating the fake university since 2017. 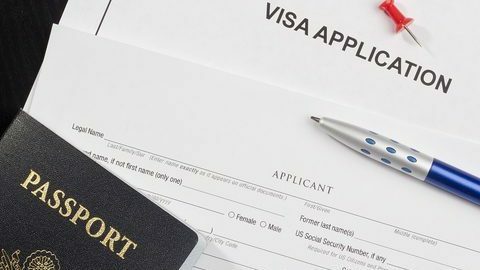 “Overstaying a US visa is a federal crime and comes with a heavy penalty and may include jail time but also, once deported, the persons may never be allowed back in the US,” said Dinesh Goel, managing director, India, South East Asia & Middle East, LCR Capital Partners, a US-based private investment firm that assists in EB-5 applicants with investments. “The US is a preferred destination for a lot of people. Once there, they don’t want to leave but may not be able to figure out legitimate and legal means to stay there,” Goel added. “That is when they try to figure out loopholes in the system, possibly get misguided and convoluted in their thinking and take irrational steps,” said Goel. He added that since countries and their visa systems are integrated these days, it will likely impact the students’ ability to get visas of other countries as well. Meanwhile, a group of four US Congressmen — Raja Krishnamoorthi, Thomas R. Suozzi, Brenda Lawrence and Rob Woodall — have written a letter to DHS and US Immigration and Customs Enforcement urging that the students are treated “fairly, humanely and in accordance with due process”. “We urge the DHS and ICE to ensure the detained students are treated properly and afforded all rights provided to them under the law, including access to an attorney and release on bond, if they are eligible,” said the letter. “We further urge DHS and ICE to share full details and regular updates regarding the Indian students with the Embassy and Consulates of India, and to facilitate consular access for the detainees,” it added. Article is not clear. It says detained were released on bail bonds. It later says, they are detained along with drug traffickers. What is real situation. God only knows..lot of vested parties are involved in this from both India and America. Very sad. The fact that this was a sting operation, with an element of entrapment, makes it even more heartless. Trump’s America is becoming a cold, heartless place.